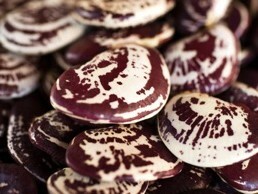 Once you try these nutrient-rich, delicious delicacies, you just can’t hate lima beans anymore! These broad flat beans are named after Lima, Peru, as they originated in the Andes mountains of that region as well as in Guatemala. Lima beans were then were spread around the world by Spanish and Portuguese explorers in the 1500s, and are now grown in most parts of the world today. Lima beans are loaded with 12-15 grams of protein per cup, significant amounts of folate (for heart health and preventing birth defects), soluble fiber (for balancing blood sugar and eliminating excess cholesterol from the body), insoluble fiber (for keeping us regular), and high in minerals such as iron, magnesium, manganese, and potassium. Even if lima beans aren’t your favorite food, get your hands on some heirloom varieties and taste the difference! Split the pod open by snapping the end and pulling towards the opposite end. Remove the beans from the pod. 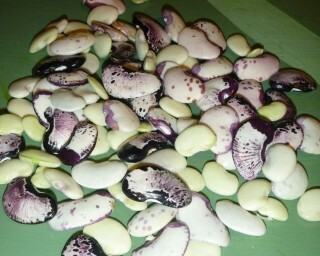 Drop them into boiling water for 5 minutes, or until the husk (thin coat around the bean) is puckered. Drain the water and plunge the beans in ice water. So that you can handle them. Remove the husk (outer skin) by poking a hole in the piko (navel) of the bean with your fingernail or a knife. The bean will pop right out. 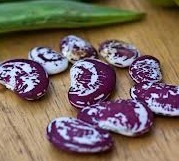 Return to pot, cover with water, and boil again for 10-15 minutes, or until beans reach desired softness. *Don’t add salt or anything acidic (lemon or vinegar) until after cooking as it will make the beans tough and increase their required cooking time. Once cooked, drizzle with olive oil, ghee, or coconut oil, season with salt and pepper and enjoy! Soak the dried beans in water for 8 hours to rehydrate, reduce cooking time, and remove the complex sugars that cause gas as well as phytates that impede digestion. Boil for 1 hour or until beans reach desired tenderness. Pressure cooking for 25 minutes is also an option. Adding a strip of kombu to the beans will increase their digestibility as well. 1. Combine the beans, tomatoes, pepper, cucumber, oregano, olives and feta in a bowl, and toss together. Season to taste with salt and pepper. Add the vinegar and olive oil, and toss again. 2. Line a salad bowl (or individual plates) with the arugula. Top with the vegetables and beans, plus all of the liquid that has accumulated in the bowl. Toss together if desired, and serve. Serves 4 as main dish, 6 as a side dish. 2. Chop the mint and parsley, medium to fine and set aside. 3. Roast the pumpkin seeds in the preheated oven, then grind them (medium to fine) in a food processor. 4. Put the sesame oil in a large skillet on medium-low heat. Throw in the lima beans and sauté them until they are brown and roasted. 5. Add all the other ingredients except the lemon juice and sauté for another minute. 6. Drizzle with lemon juice and serve. 2. Preheat the oven to 350º. 3. In large skillet wilt the spinach, in batches, in the water left on the leaves after washing. 4. Heat 1 tablespoon of the olive oil over medium-low heat in a skillet, and add the garlic. Cook, stirring, until fragrant, 30 seconds to a minute. Add the spinach, and chives, stirring together to combine ingredients to cook less than a minute. 5. Remove from heat. Season to taste with salt and pepper. 6. Spread the spinach in an even layer over the beans. Sprinkle the goat cheese over the spinach, and drizzle with olive oil. Bake 30 minutes.